The holidays can be all-consuming. They are already creeping into November, and if you are anything like me, you might already have the itch to get out your festive decorations. 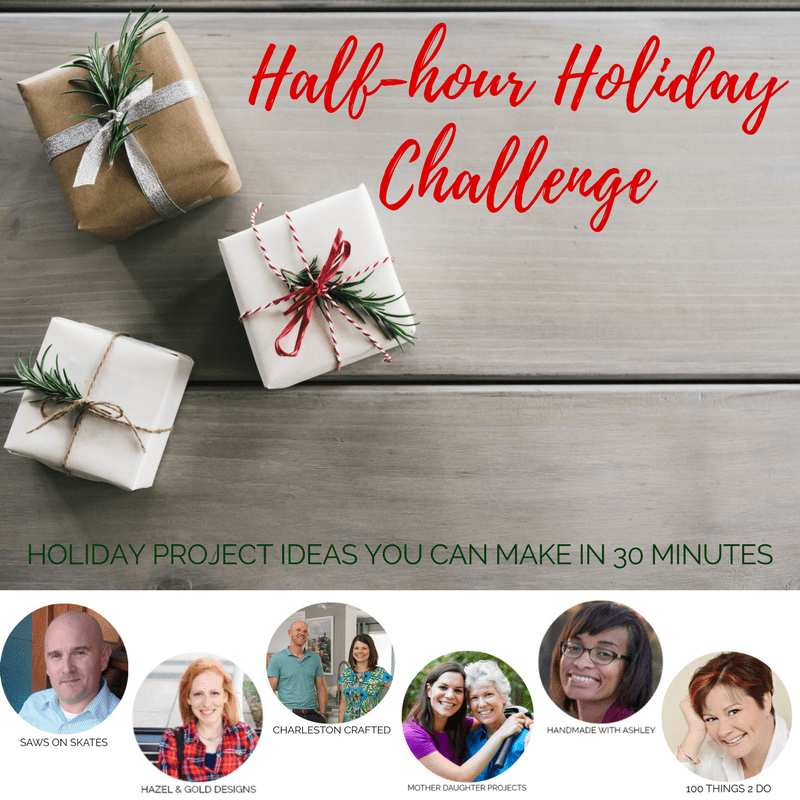 Today, we teamed up with some other amazing bloggers to share holiday projects that can be completed in just half an hour! 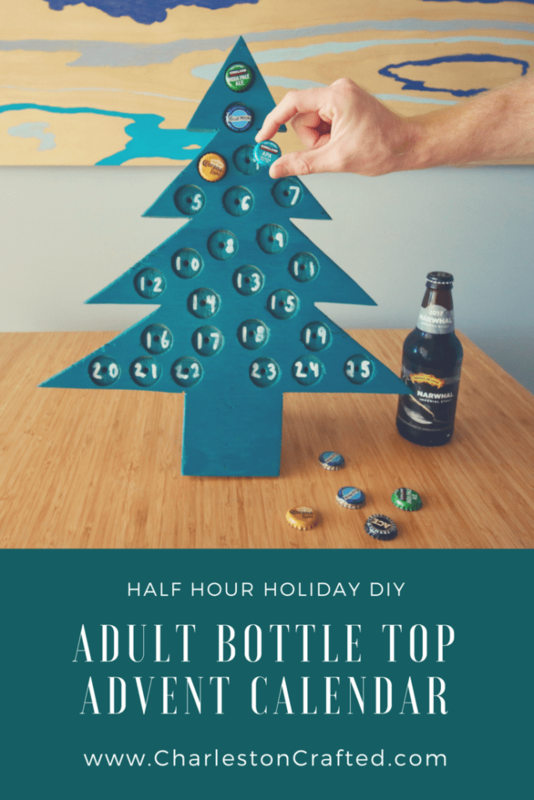 We decided to make an adult advent calendar, because counting down to Christmas isn’t just for the kiddos! 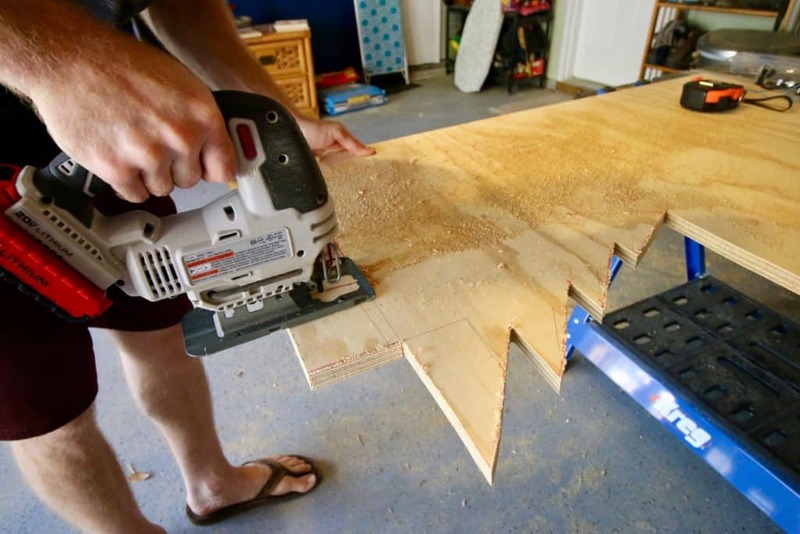 First, grab a piece of 3/4″ thick plywood. 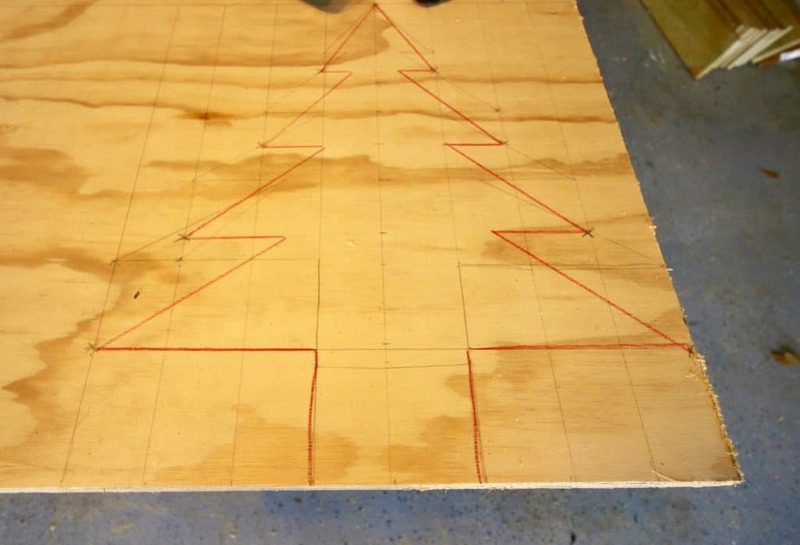 We traced out our Christmas tree in about a 16″ wide by 19″ tall area. We used a jigsaw to cut along the lines of the tree. Simply follow along the pattern of the tree you drew. 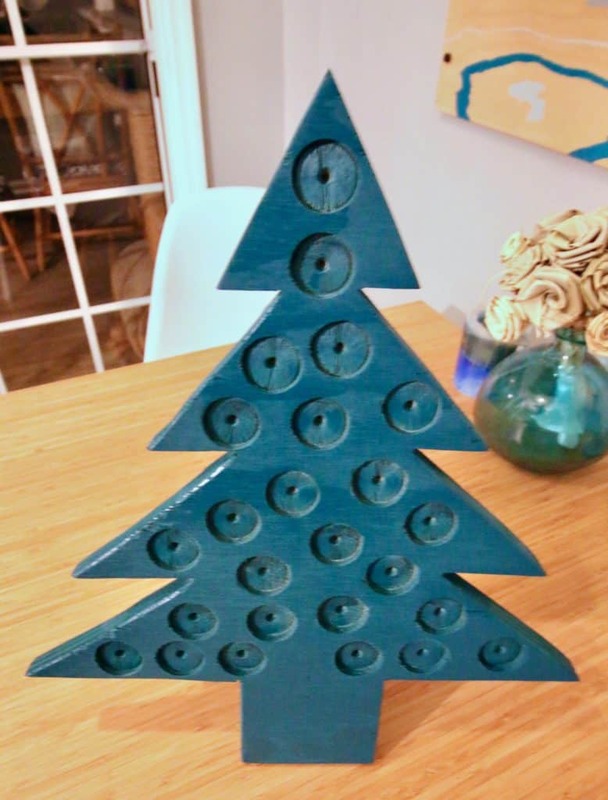 Next, we used a 1 1/4″ spade bit to drill 25 circles into our tree. 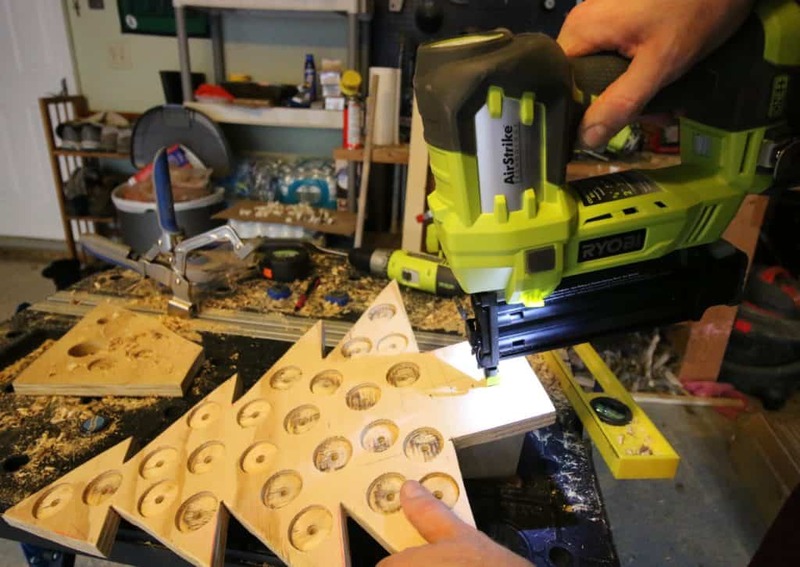 We used a bottle cap to trace the circles before we drilled them. Be careful not to drill all the way through the wood. Just go deep enough for a bottle cap to sit inside. We also added a little triangle of wood behind the tree as a stand. 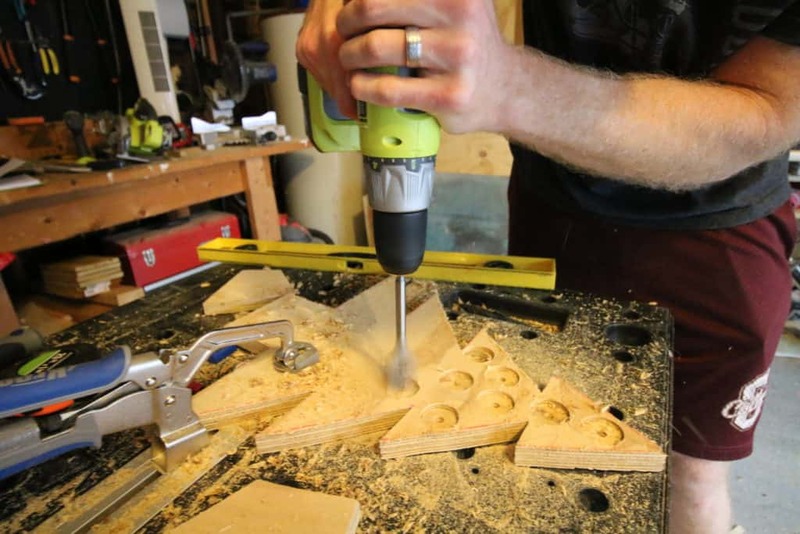 We used a nail gun to attach it, but you could also use screws or wood glue. 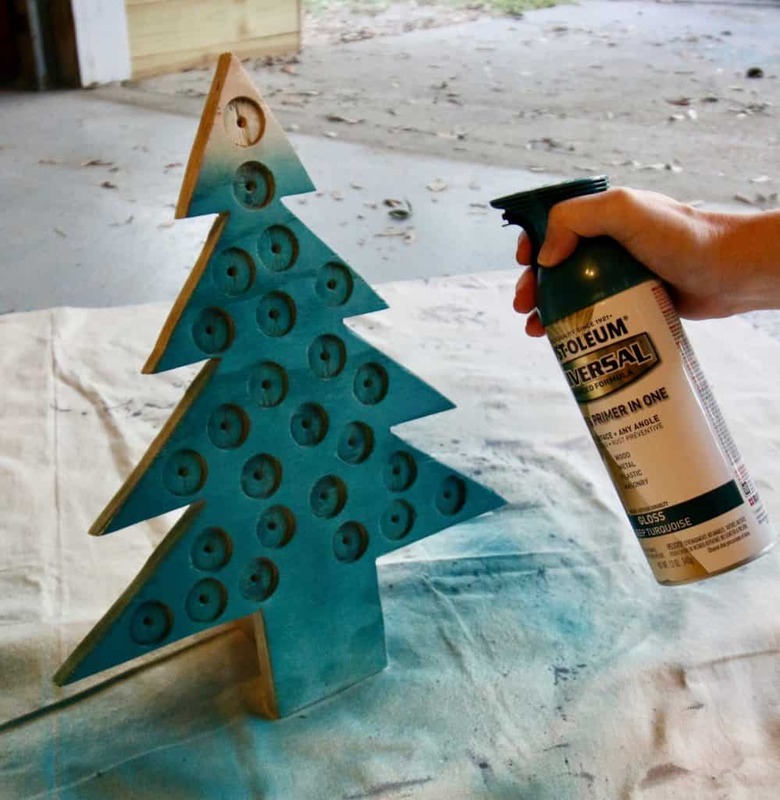 Next we spray painted the tree with Rust-Oleum’s Deep Turquoise spray. We didn’t want to go with a traditional straight up green and opted for something close but still looked great. 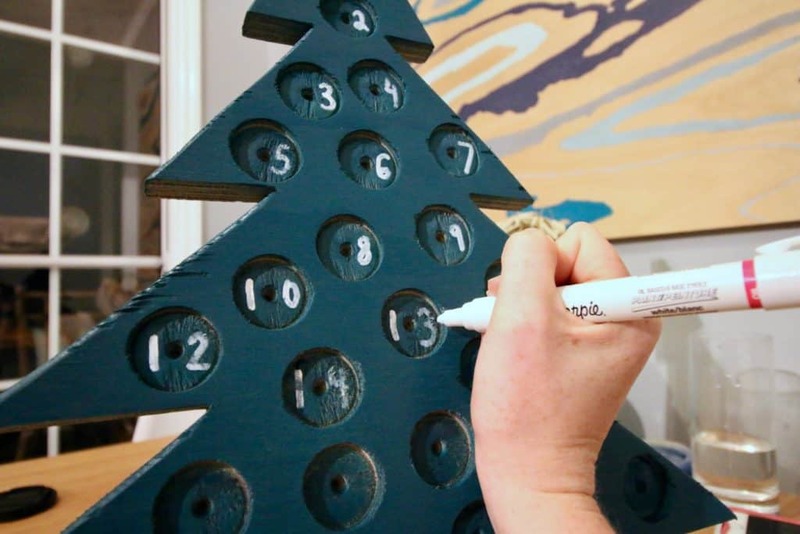 We used a white paint pen to draw on the numbers of the 25 days of Christmas. We started at the top and worked our way down and left-to-right. It took two coats to really pop. 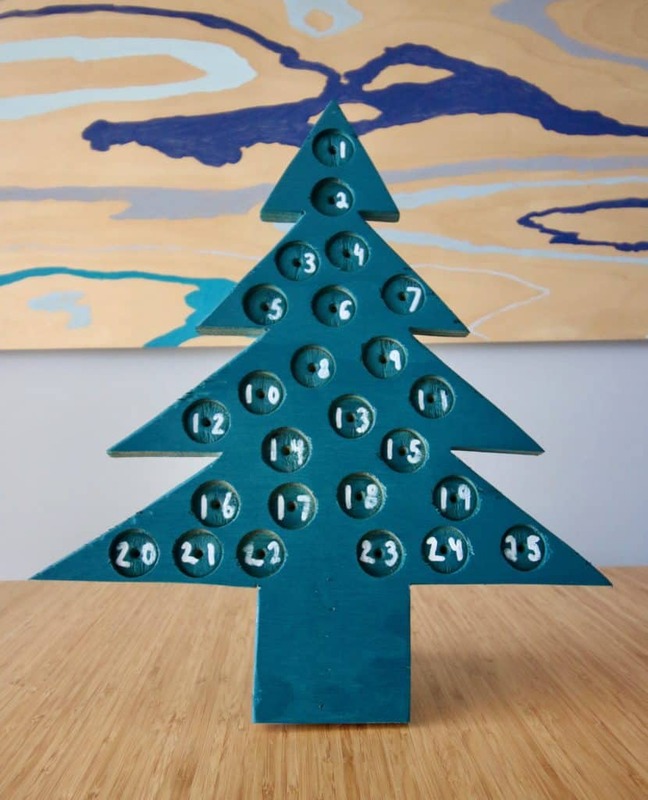 Now we had our tree ready to count down the days! 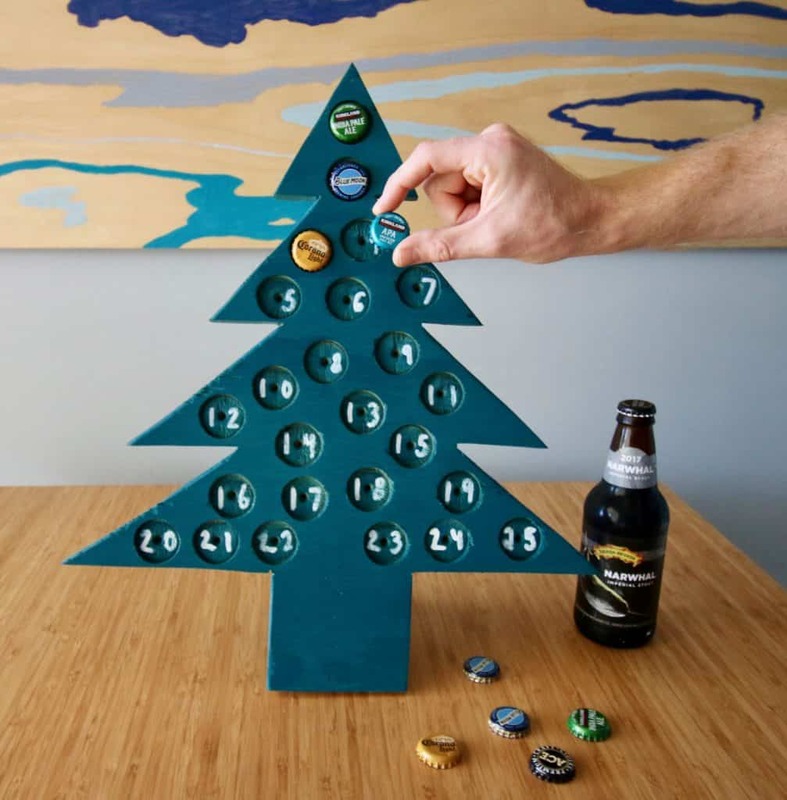 The plan is to drink a beer every day in December (not hard for us) and put the bottle cap into the right whole to count down the days. The bottle caps are perfect. They will look like little ornaments on the tree and are exactly what we wanted. In the end, the tracing, cutting, sanding and drilling took about 20 minutes. The spray painting took two minutes and the numbers took less than five. We didn’t count the dry time (obvi) and we won’t count the wonderful time it will take us to drink each beer. But this project seriously took us less than 30 minutes and you could easily replicate it! 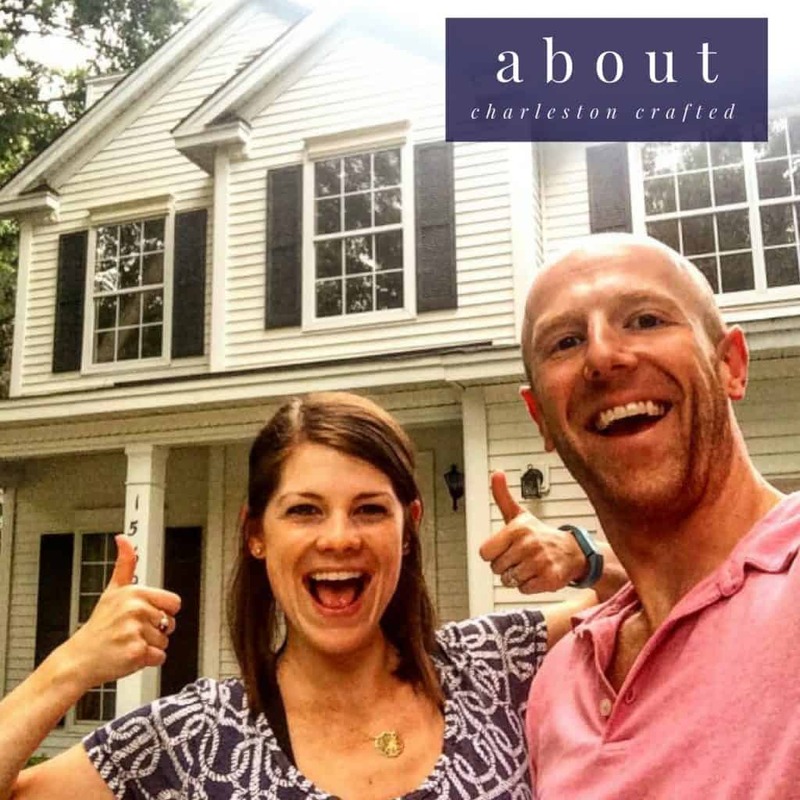 Be sure to click over and check out what the other amazing bloggers built in only half an hour! 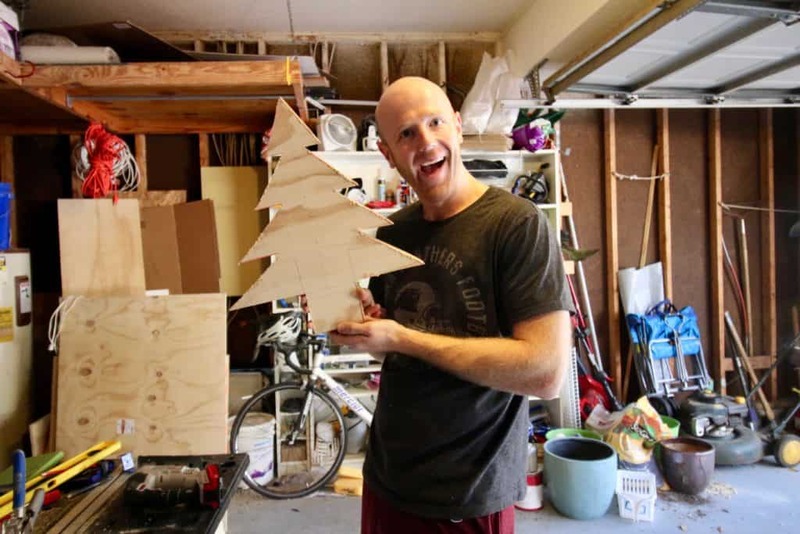 What are you building for the holidays? Would you like to see anything specific from us?! I’m a craft beer guy so I MUST have one of these in my life! The big question is… do I need a different of beer cap for each hole?! Great job guys! Oh, my hubby would LOVE this! Thanks for the fantastic idea.